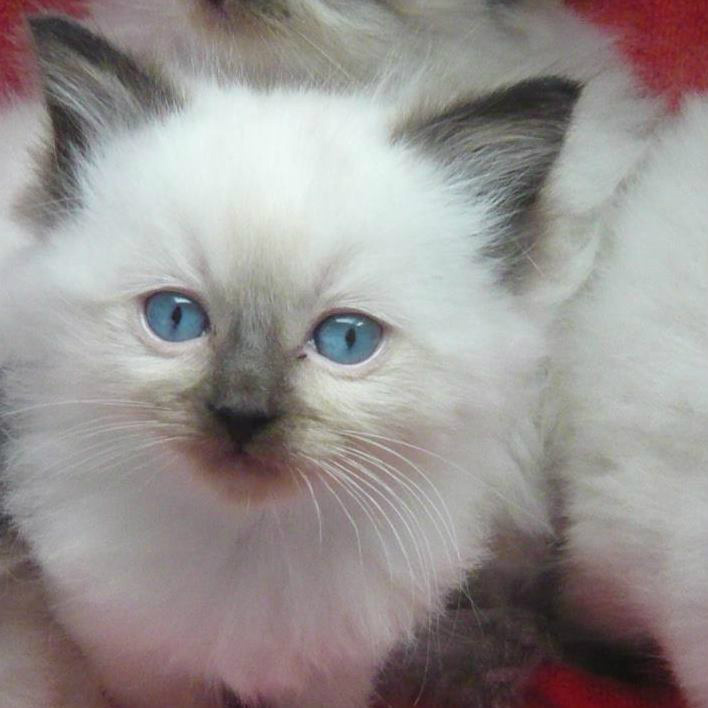 The personality of the Ragdoll is pure perfection. A more loving cat you will not find. Ragdolls are indoor cats that become real friends to their owners. In return, the owner receive an endless stream of devotion from their Raggies. Many Ragdoll owners compare their Ragdoll's personality to that of a faithful dog. Ragdolls love to play, and there are plenty of examples where Ragdolls retrieve their favorite toy, learn to shake hands (paws) and learn to sit upon command. The personality of the Ragdoll is always warm and friendly. Ragdoll always remain faithful to their owners, the Ragdoll will greet you at the front door when you come home, and follow you around the home, even to the bathroom!.. Nobody understands why they carry this traite ~ The Ragdolls curiosity will always greet guests in your home. So if you are looking for a lap cat, then the Ragdoll is the one for you!. Ragdolls give much love and are so attentive to their owners needs, no other breed of cat seems to have such friendly characteristics as the Ragdoll. Ragdolls are generally purchased for their wonderful character. PLUS as a big bonus you also get a beautiful easy maintainable coat, a LARGE cat, with big beautiful azure blue eyes, in general a warm and relaxed personality with classic pedigree looks... an all around brilliant package! Ragdolls are also suitable for people who have an allergy to cats. 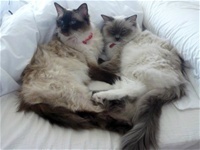 Because Ragdolls have no undercoat and are a low moulting breed, it is often said they don't trigger allergic reactions. Generally it is not usually the fur which affects people, more the 'skin' shedding it's minute particals.. ie. what we call dust.